Colorado Springs, Colo. – Local youth will have an opportunity to play with their big league heroes at the Major League Baseball Players Alumni Association (MLBPAA) Legends for Youth baseball clinic series on Friday, July 21st, 2017. The free clinic features former Major League Baseball players who will teach baseball skills, drills and life lessons for approximately 200 local youth. Players attending* include Gold Glove winner Ellis Valentine, as well as Steve Busby, Sam Demel, Bill Fahey, Brian Holman, Pat Mahomes, Benj Sampson and Ken Suarez. These eight players combine for 56 seasons, 157 wins and 2,263 games in Major League Baseball. The clinic will take place at Nolan Catholic High School Baseball Facilities, home of the Nolan Catholic Vikings, running from 9:00 a.m. to 11:00 a.m., located at 4501 Bridge St., Fort Worth, TX 76103. Alumni players will train at stations including pitching, catching, base running and life skills. Registration will begin at 8:30 a.m. and the morning will conclude with an autograph session and baseball giveaways for children in attendance. MLBPAA was founded in 1982 with the mission of promoting baseball, raising money for charity and protecting the dignity of the game through its Alumni players. The MLBPAA is headquartered in Colorado Springs, CO with a membership of more than 7,800, of which approximately 6,100 are Alumni and active players. Alumni players find the MLBPAA to be a vital tool to become involved in charity and community philanthropy. Follow @MLBPAA on Facebook, Twitter and Instagram for updates. 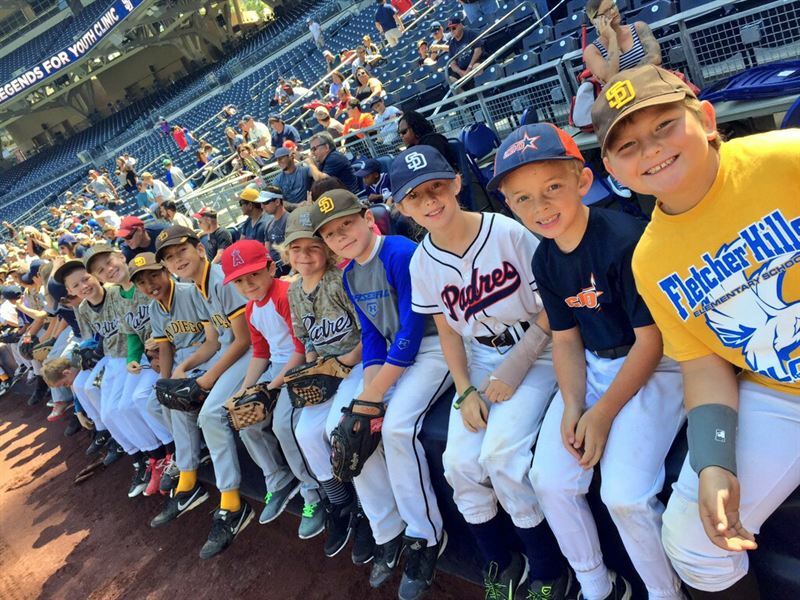 MLBPAA’s Legends for Youth clinics impact more than 16,000 children each year, allowing them the unique opportunity to interact with and learn from players who have left a lasting impact on the game of baseball. The MLBPAA has reached children across America and internationally in Australia, Canada, China, Curaçao, the Dominican Republic, Germany, Italy, New Zealand, Nicaragua, the United Kingdom and Venezuela, through the Legends for Youth clinic series. To donate to this program, visit baseballalumni.com/donate. The official hashtag of the Legends for Youth clinic series is #LFYClinic.